I am a professional sculptor, living in Sydney. My background is in building and construction management. Here my work included project management of multi-million dollar fitout and refurbishment. 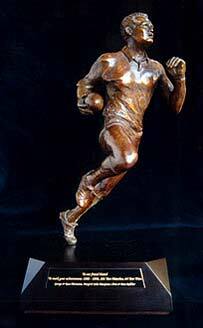 I started sculpting in 1981. 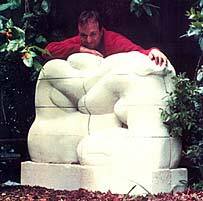 Selling my work through galleries and exhibitions, I commenced my career in sculpture in 1992. 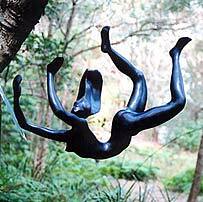 Since then I have produced over 500 individual works that are held in Australia and overseas. During this time, I have been commissioned to produce works for homeowners, developers, architects and designers, institutional and corporate clients. I am a full member of the Sculptors Society and have served as Vice President on their Executive Committee for three years. I have taught sculpture at a community arts level and TAFE and demonstrated sculpture in public venues and on national television. 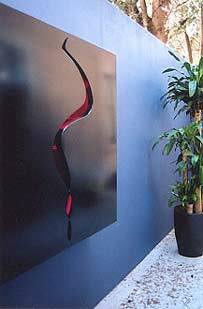 My choice of sculpture media is a reflection of my love of materials. It has included traditional media such as bronze, sandstone, limestone, marble, alabaster, ceramics, timber and other media such as concrete, plaster, glass, resin, steel, aluminium, fabrics, plastics, wax and synthetic clays. I have produced work for office, boardroom, foyer, home, garden, airport lounge and landscape settings. I have produced concepts for bridges, retaining walls, sporting awards, corporate awards and gifts, architectural decoration and personal gifts. Apart from the specific subject matter required for commissioned works, I enjoy the exploration and portrayal of human themes as they are demanding in discipline of execution while openly inviting the viewer to identify with, embrace and enjoy the sculpture. horse that stood in the window of my grandfather's studio. physical process and its potential to carry meaning. heart and tells its story there.